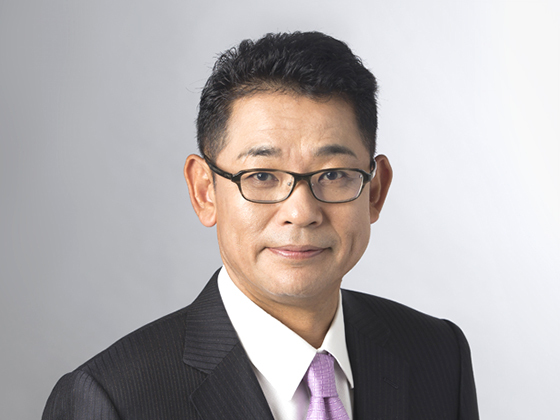 Power Train｜Product ｜ Musashi Seimitsu Industry Co., Ltd.
Musashi's High quality and Low cost Power Train, contributing to higher fuel economy. 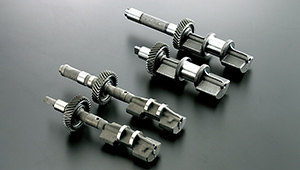 PT Business develops and manufactures camshafts which control the timing of opening and closing intake/exhaust valves of an engine; transmission gears and planetary assembly which convert and transmit engine revolutions to optimal driving revolutions; and differential assembly which receive engine torque on the input shaft and allocate it to 2 output shafts (on right/ left wheels) with an applicable difference in revolutions. World's highest standard in size and weight. We achieved top standard by incorporating "Design", "Production"and "Function evaluation". Now, with various series fit to all types of passenger cars. 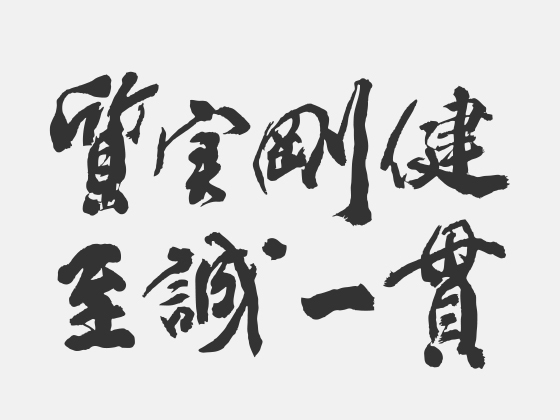 Realized desirable quietness by original technology. 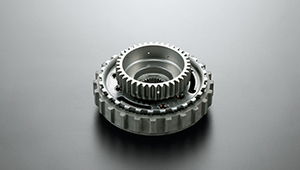 Featuring High-precision carrier through cost competitiveness of original assembly equipment and tools. 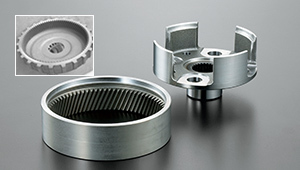 High precision gears with advanced production technology. 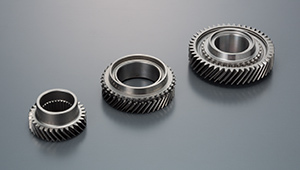 We achieved High precision Transmission gears contribute to durability and quietness through utilizing advanced cutting and grinding technologies. Higher fuel economy through original technology. We offer a full line up of products from compact to large passenger cars by utilizing our original production lines. 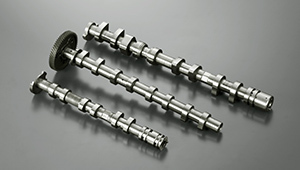 Also, we recently started manufacturing concave-shaped(bevel-shaped) camshaft to improve the fuel consumption. 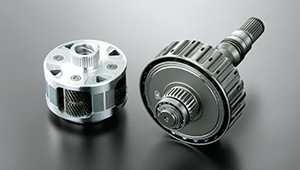 The differential gear assembly distributes all of the engine power coming through the input shaft, between output shafts driving the left and right wheels, whilst allowing the wheels to rotate at different speeds where necessary. 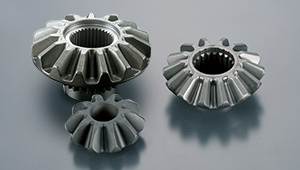 The gears for a typical small car of around one ton will fit in the palm of the hand; they therefore need to be extremely strong and hard wearing. 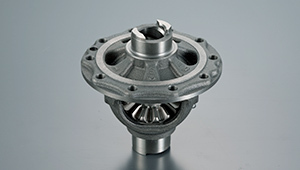 The Planetary Assembly is used to match the rotational speed of the road wheels with that of the engine. This is essential for ensuring that the vehicle has the best acceleration and fuel consumption possible, whilst providing an enjoyable driving experience. 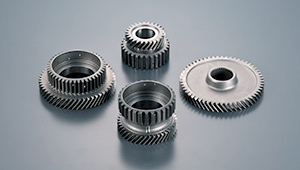 We provide low noise and light weight gears for such applications, and we have an ongoing program to further develop our technology in this area. 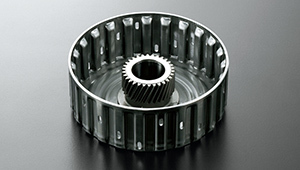 The Transmission Gears are used in the power-train for functions such as opening and closing the engine valves. 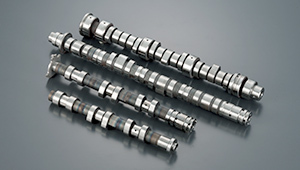 The Camshafts are used for transferring the power from engine to wheels, whilst adjusting the rotational speed.